In a day-filled event held yesterday (6 December) at the ExcCel London, it wasn’t just an opportunity to see exhibitors showcase their tools and technologies, but a place for networking, workshopping and discussions on technologies of AI and ML within finance and insurance. 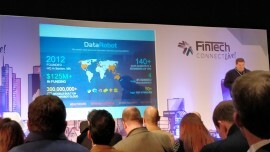 As I started to venture across the halls Fintech Connect day one was packed-filled with an agenda of multiple presentations focusing upon fintech as a whole, AI in finance and insurtech. But the day began with not a session on AI and ML, which is the focus later, but a discussion on fintech and Brexit. The first session was introduced by Stephen Barclay MP, economic secretary to the treasury, HM Treasury. Speaking about the age of ATMs, and how even though they are now 50 years old, they are still heavily relied on. Showing that there is always the potential for its rise in the future – this holds true, especially with cryptocurrencies. But with PSD2 coming in January and the impact of Brexit upon the fintech industry in the UK, there is a significant gap between London fintech and the rest of the UK. However, as London is becoming a hub in the fintech industry, it opens to challenge and opportunity to spread throughout the UK. From here, the Rent Recognition Challenge was unveiled, a £2 million prize fund, challenging fintechs to develop new or build on existing applications, to enable rental tenants to record and share their payment data with lenders and credit agencies. When it came to Post-Brexit, a panel discuss consisted members from European start-ups and fintechs from the UK. Of course, in their politeness, the brighter side of Brexit was discussed, seeing the opportunities that an independent Britain can provide to start-ups and fintechs. Seen as a race, who will rise to the top? After all, once we’ve left the EU, don’t be surprised by the rush of partnerships between UK start-ups and outsiders. After the daunting realisation of Brexit means Brexit, then again who knows with the government these days, I turned my attention towards AI and ML. 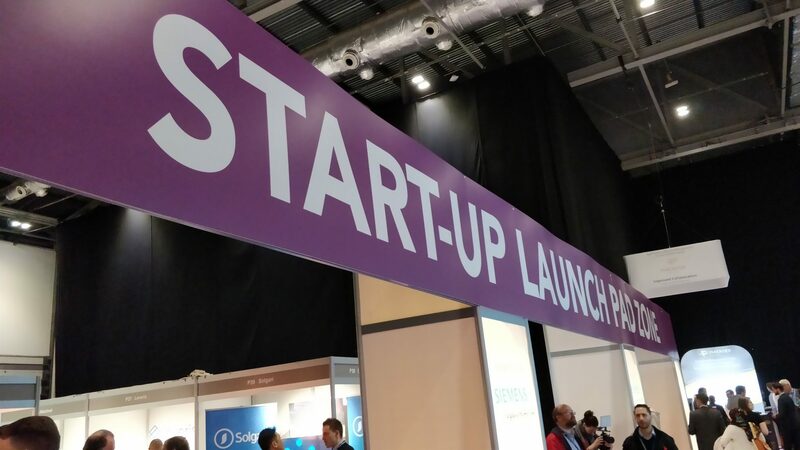 This was something I previously explored at the Finastra Universe London event recently. While that event discussed the technology in traditional banking use. This event, along with many start-ups and exhibiters focused on the utilisation of such technology in investments, insurance and cybersecurity. Starting with the future of insurance. David Caygill, founder of personal finance saver, Savio, talked about progression and the how ideas of the past have substantially become a reality. The internet, cloud computing, smartphones, smart devices have connected the world and done more for the advancement of technology than any other. And just like banks; it’s a process of change. And AI and ML, IBM’s internet of things (IoT) shows the potential of how the gathering of information can provide insights and patterns. While the gathering of data is one thing, when it comes to monetisation, that’s a different playing field, Caygill commented. Speaking about the mining of data, ripe for monetisation, was Alex Hammick, COO of Digital Fineprint. Starting with a “fun fact”: if digitised, all written novels would equal 52TB of data, which is nothing compared to the 604TB of social media data. After letting that sink in, Hammick continued by saying if people are willing to share so much on social media, that data can be used to form a “profile snapshot”, to create “matchmaking” data. It won’t be specific to an individual, but instead will create a recommendation and potentially educate. It would also need people to opt in, as Hammick stressed that data scrapping would be unethical. Alternatively, this can take on an alternative approach. Gamification was talked about, where companies are taking the aspects of mobile-like gaming services and bringing them into the realm of fintech. In a discussion about simplifying the process and making actionable insights, it was boiled down to three key areas: awareness, education and interest. Traditional services are getting more disrupted, and many fintech firms are taking advantage by offering direct services, catered to the customer. Brand awareness and interest is a great asset, and we’ve seen this with the rise of millennial-targeted banking services. Same goes for educating: being just as important since many still don’t understand the landscape, so if it can be simplified, it gives the confidence to use. Whether it means growth, is all down to the consumer interest, potential partnerships and investments. When it came to the inner workings, Justin Dickerson of DataRobot spoke about its automated ML platform. By focusing on machine learning to automate the aggregated data in real-time, it alleviates the need for data scientists, who, according to DataRobot, are few and far between. Outside of the conferences, I spoke with the DataRobot team at their booth and saw the tools in action. While marginally going over my head, as I’m no data scientist, the learning tools and information gathered, was simplified enough to the point where you could drag and drop performance spreadsheets and have DataRobot’s algorithm process the data and see the scale of potential and risk in real-time. Of course, the most prominent risk for the gathering of information is the risk of being attacked. To wrap up, a packed event, I saw a presentation from Omar Yaacoubi, co-founder and CEO of Barac, on the “cognitive” advantage of AI in the age of cybersecurity. Looking back at the conferences of the day, it does all build-up to this. It’s well and good, discussing the gathering information, learning and utilisation, but what about the security of data? Yaacoubi explained that it could be a costly endeavour ($11.7 million a year, according to stats) to recover from data breaches due to the lack of information in business cybersecurity. It’s always a high-priority for business, but it’s the utilisation of AI that benefits. Just like the gathering of information and ML used by financial services. Eventually, just like a firewall to stop an incoming breach, AI and ML can be used to peel back the shroud of data and see its metadata within. That’s key and can be aggregated to show suspicious patterns, identify false positives and flag potential risk. 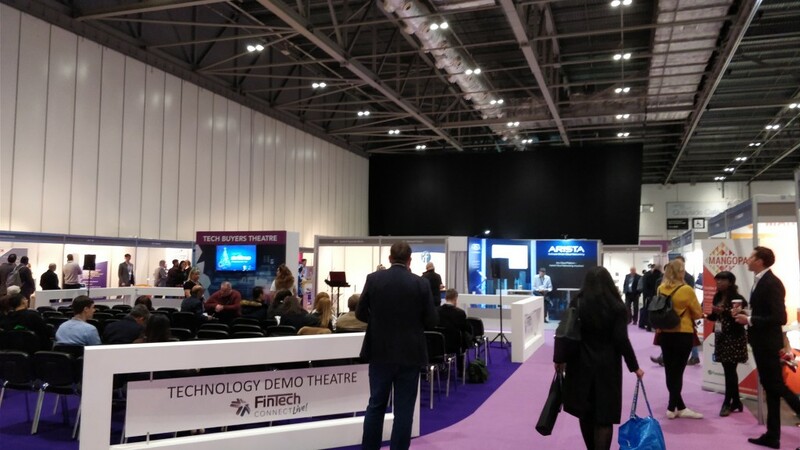 Fintech Connect Live 2017 was packed and there was so much to divulge and take in. 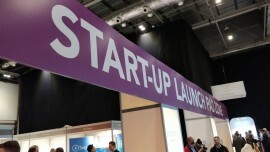 It was the first event in the fintech industry that I’ve attended (I joined Banking Technology just over a month ago) that featured such a large number of exhibitions and start-ups, and there was too many to visit in one day, alongside the conference presentations and discussions. I spoke with Wealthify about its investments app, which streamlines your savings to investments. It allows you to set a monthly amount to save and invest, Wealthify and its partners then handle the rest using “passive investing”. It was mostly for my benefit, as I’m terrible with savings, but I found it to be a fascinating take on traditional savings. However, just like the exchange, there’s always that potential loss of capital. Another tech firm I checked out, which we reported in our Bitcoin and Blockchain round-up (7 December), was Pundi. With its point of sale (POS) device Pundi lets consumers buy or sell cryptocurrency who would otherwise have little or no access to it. The purchased cryptocurrency can be stored in a digital wallet or used to make cashless payments to top up mobile phones, pay utility bills or buy goods. By the end, AI and ML are coming into full swing, and with the growth in technology, the utilisation of businesses data, deep learning and security. The business and monetisation potential far outweigh the risks and is hastily becoming embraced by fintech across the board. "This is how we are democratising AI for our customers." The UK’s Financial Conduct Authority’s study into competition in investment and corporate banking will focus on choice, transparency, bundling and cross-subsidisation in debt and equity capital markets, mergers and acquisitions and acquisition financing. It will also consider links between competition in these primary market services and related activities such as corporate lending and broking, and ancillary services. The fintech industry is flying through the social media stratospheres at astonishing rates – we know. But how are particular sectors within it keeping up? Insurance – and its insurtech counterpart – is certainly moving ahead in leaps and bounds in some areas, but when it comes to social media, it looks like it is only just embarking on its journey now, a good five years behind banking. Brand new faces in Wales and Northern Ireland.